From our ever-expanding range of shabby chic and French style furniture comes this stunning Ettienne white bedside table. 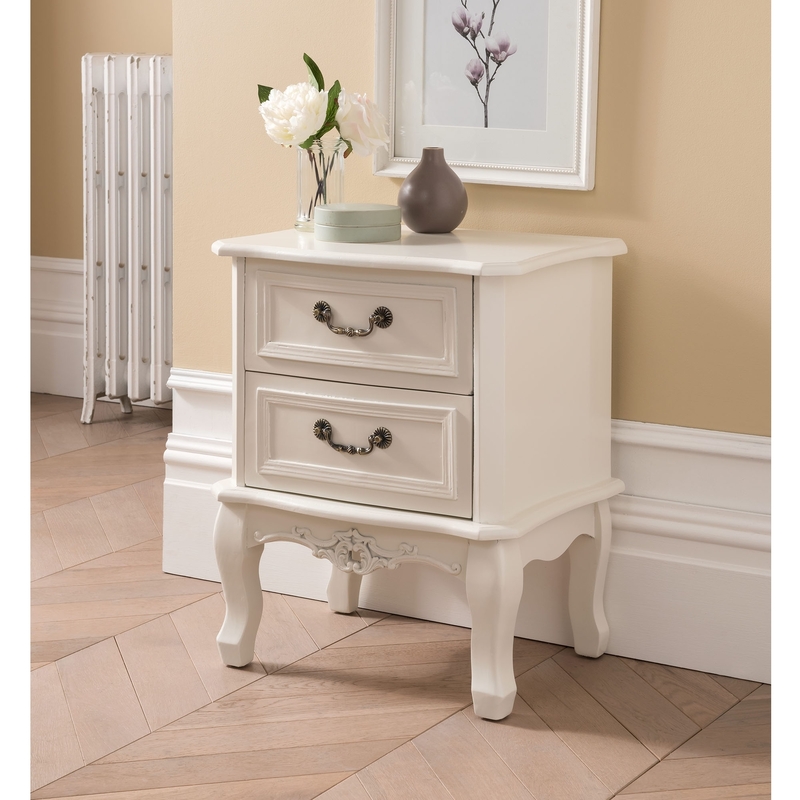 Featuring 2 ornate detailed drawers, each with metal handles and finished off in a beautiful white. Ideal to add additional storage in your bedroom, this bedside table will provide practicality in abundance.